Terrorism is flourishing in Pakistan despite Zarb-e-Azb operation and ISPR press releases. The hard truth is that while Army continues to target Uzbek militants in North Waziristan, Pakistani militants across the nation are carrying out attacks with impunity. This has been documented by the Jinnah Institute in its excellent program, ‘Extremism Watch‘. 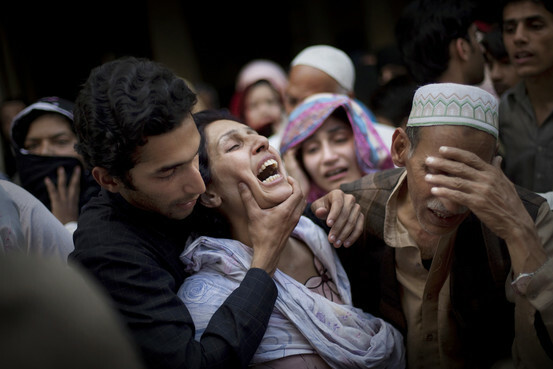 In the past seven days, at least 12 innocent Pakistanis were murdered by terrorists in 4 separate attacks. COAS has said that terrorists are on the run and has vowed complete elimination of terrorists, but so far there is no sign of any interruption to the bloodshed. This entry was posted in Blogs and tagged terrorism by Sidra Jafri. Bookmark the permalink.